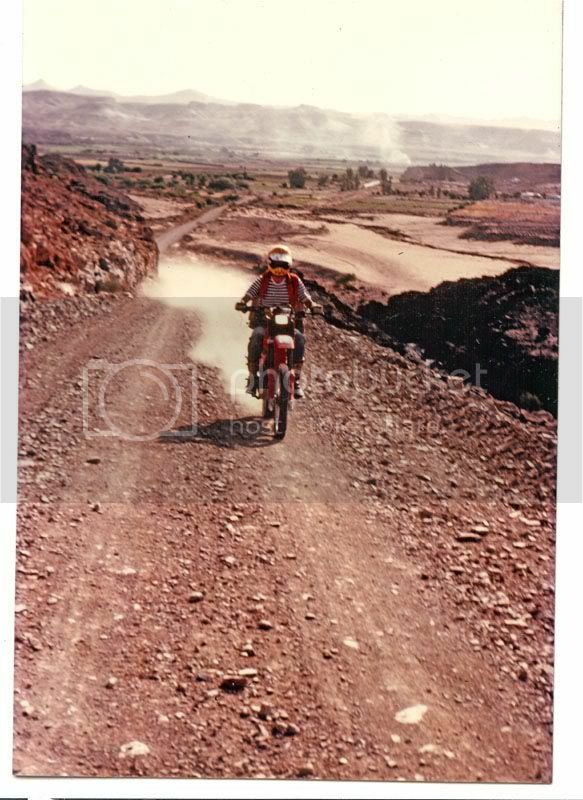 Pics of my old mans early 80's Honda XR 500 R - taken in the early 80's! 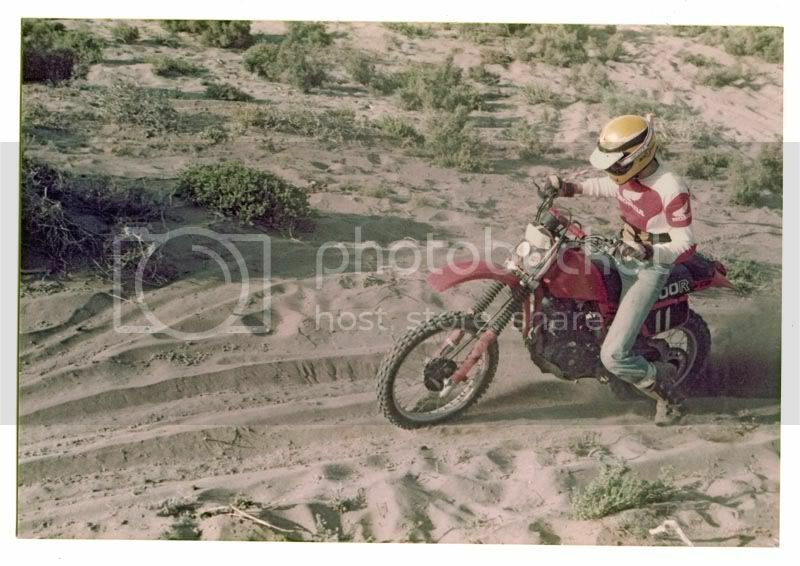 Here are some old photos I dug up and scanned of my old man and his '81 (I think) XR 500 R. It was the 13th (I think) in the country. It was Honda's first model with Pro-Link suspension and was kinda a big deal (but you knew that already). He did everything on this bike - foot ups, enduro, motox and touring! 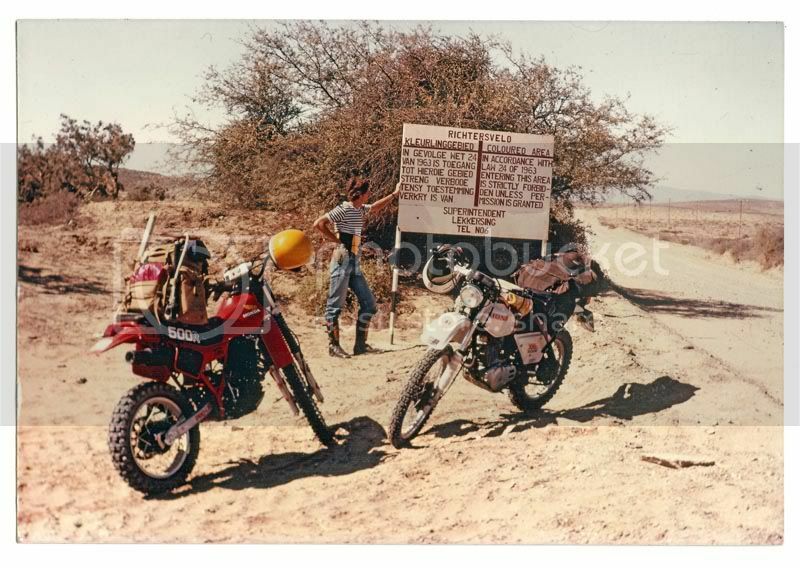 Re: Pics of my old mans early 80's Honda XR 500 R - taken in the early 80's! I love the lack of gear. Helmet, boots and gloves. Thats it. Two legends parked together on pic three. 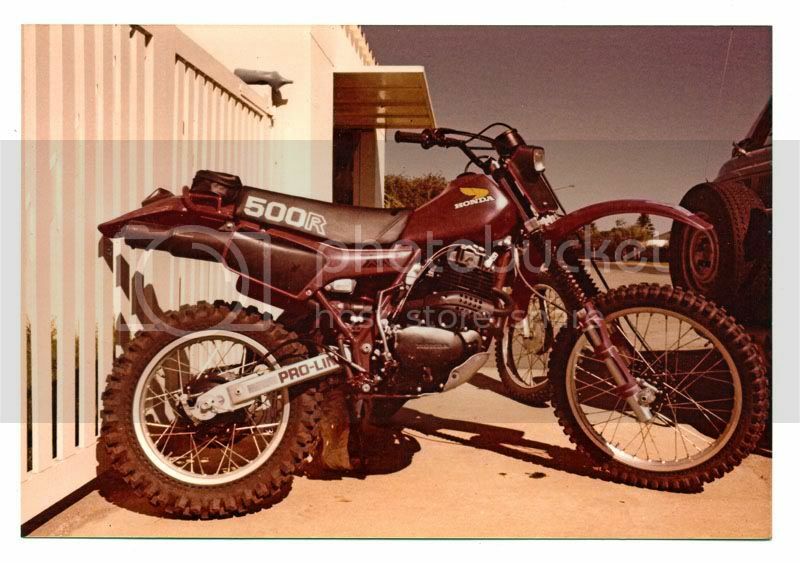 XL500s (23inch frontwheel) and the XR500R. You're dad's skinny.. why you so fat? 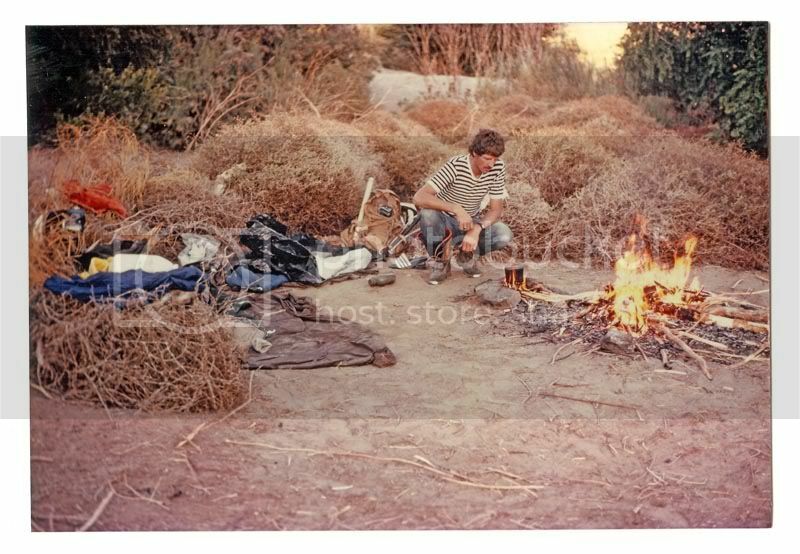 lekker pics and good memories! Frantastic! Those were great days! Brings back memories - I had one of these. Used to travel 60 - 80 km per day, rain or shine. I fitted a trick boxed aluminium swingarm. The lights were terrible especially after I fitted aftermarket indicators. The marketing guys sold us this idea that bigger is better, comfort above all else and GPS and phone numbers replace spanners and problem solving And most of us bought it hook line and sinker. What fools we are. Cool post Wes. Those were the days. Makes me miss my 200. 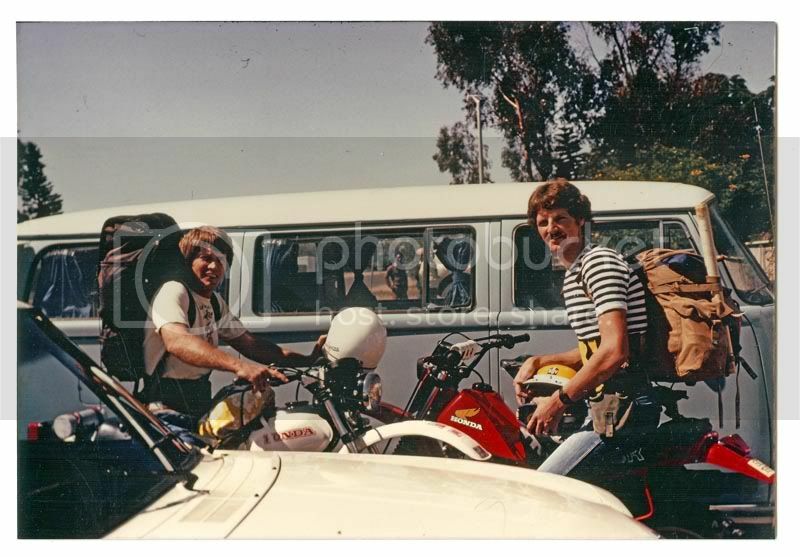 I have a pic of my sis on my dad's 81 xr and my sister on it then he had a XT and then the TT600 which I still have today he had a similar helmet as your dad's AGV, just called an MDS and it is white still have that. I still have his 1975 Suzuki race shirts. Dude we are so fortunate to have ballies that smaak scooters. Nice pics, Wes! As a schoolboy in those days the XR was my dream bike. When I was around 11 my uncle took me for a ride on his red stallion... Those Honda's were great bikes - simple and bulletproof!